Sukh Ram's son Anil Sharma is the BJP MLA from Mandi Assembly segment which along with 16 other Assembly segments falls under Mandi parliamentary segment. 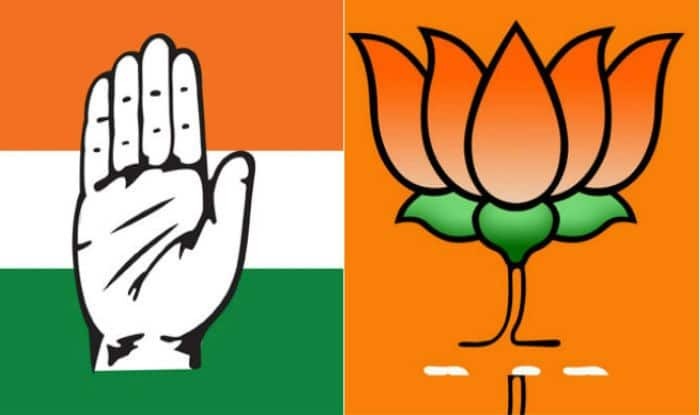 Power minister in the BJP government in Himachal Pradesh Anil Sharma has said that he would not campaign against his son Aashray Sharma, who has been declared the Congress candidate in Mandi. A day after allocation of Congress ticket to Aashray Sharma from Mandi parliamentary seat, Anil Sharma said that he would not campaign against his son. Sukh Ram’s son Anil Sharma is the BJP MLA from Mandi Assembly segment which along with 16 other Assembly segments falls under Mandi parliamentary segment. As an elected BJP legislator from an assembly segment falling under the Mandi parliamentary seat, he is expected to campaign in favour of BJP candidate sitting MP Ramswroop Sharma and against Congress candidate Aashray Sharma. Anil Sharma was HP minister during the Virbhadra Singh-led Congress governments in 1993 and 2012 but he along with his father Sukh Ram joined the BJP in October 2017, just before the last assembly elections. Anil Sharma’s son Aashray was seeking a BJP ticket from Mandi but the BJP preferred to renominate sitting MP Ramswroop Sharma. Subsequently, Aashray along with his grandfather rejoined Congress on March 25 and the Congress fielded him from Mandi on Friday.